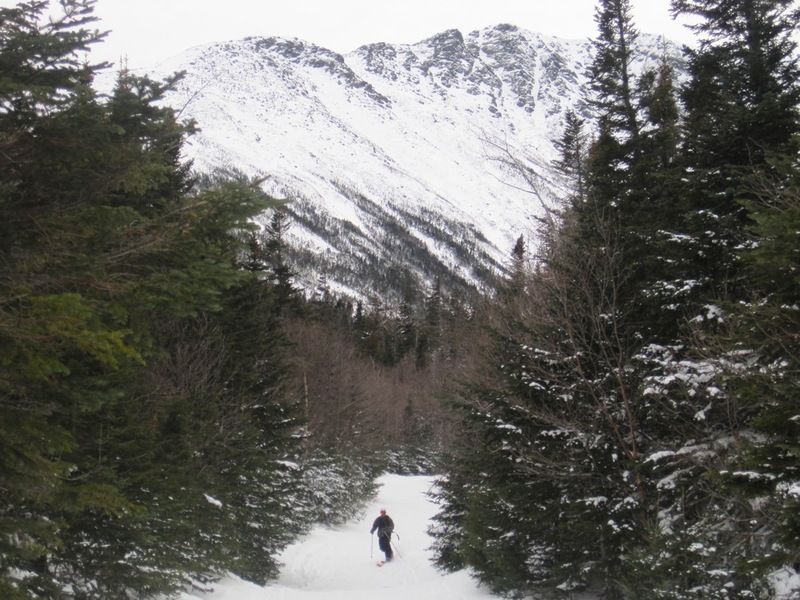 Wildcat Mountain is in a sweet spot in Pinkham Notch. Like all the ski areas in the valley, it has great views. 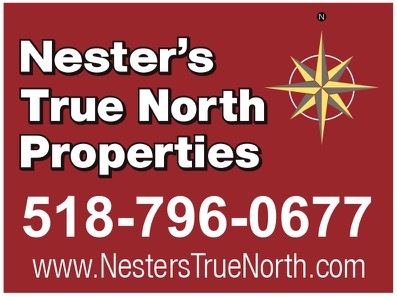 It’s near the visitors center and across the street from Mount Washington. 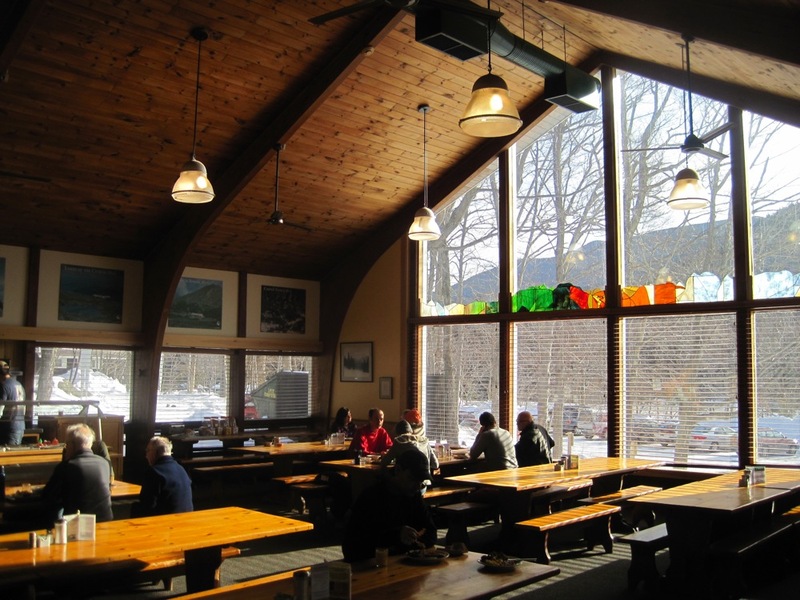 We stopped at VC for breakfast and then headed over to the Lodge. 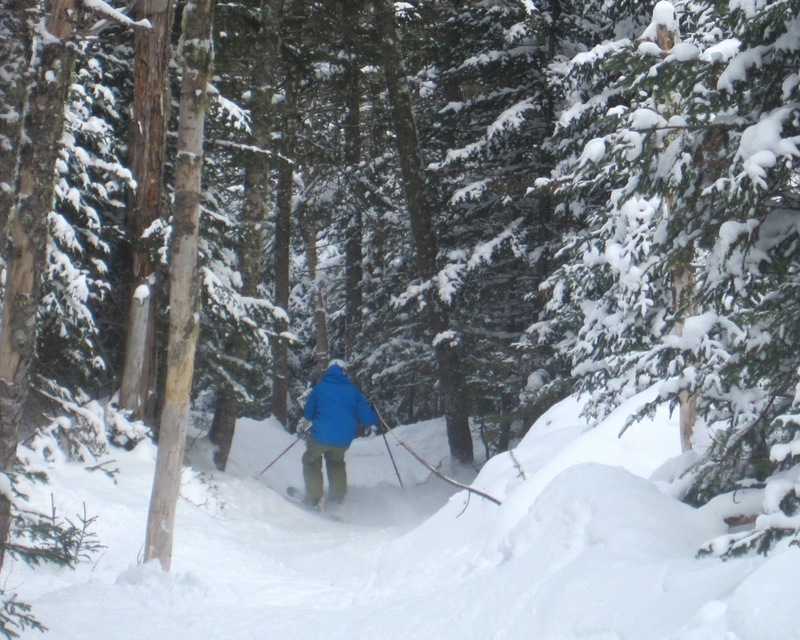 We started on the groomers, and at opening the cord was similar to what we found at Attitash yesterday — grippy and rippy. Flying along in front of a spectacular backdrop, groomed runs have a front row seat to some of the most beautiful and talked about views in the northeast. Around 10 am, we met up with Thomas from Peak Resorts for the second day in a row. He showed up with a wide grin, and even wider skis. He asked us our preference, and we said trees. Down the rabbit hole we went, with Thomas in the lead. We skied some steep, very technical shots. There was great skiing done by my partners. Next, we decided to cruise. We skied Wildcat, Lynx and Pole Cat. 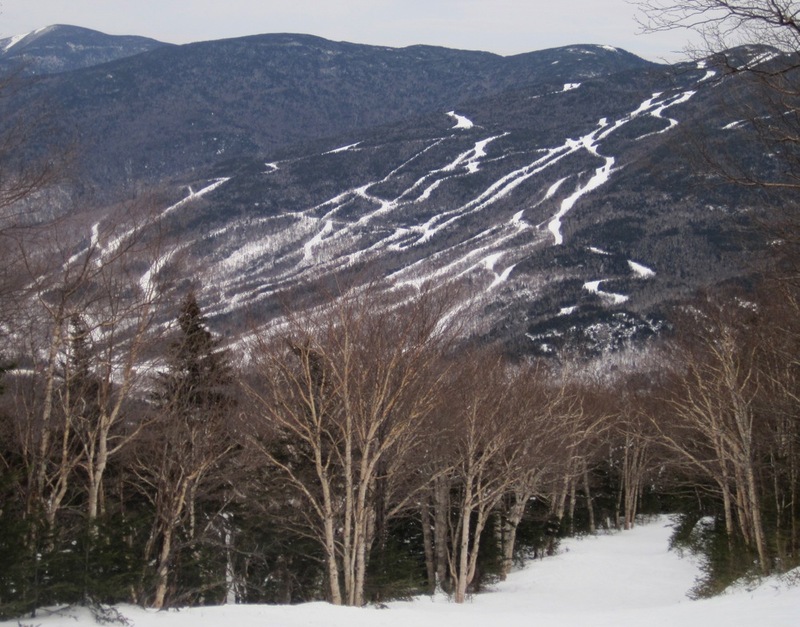 All skied well, but most memorable for me was our top-to-bottom run on Polecat. 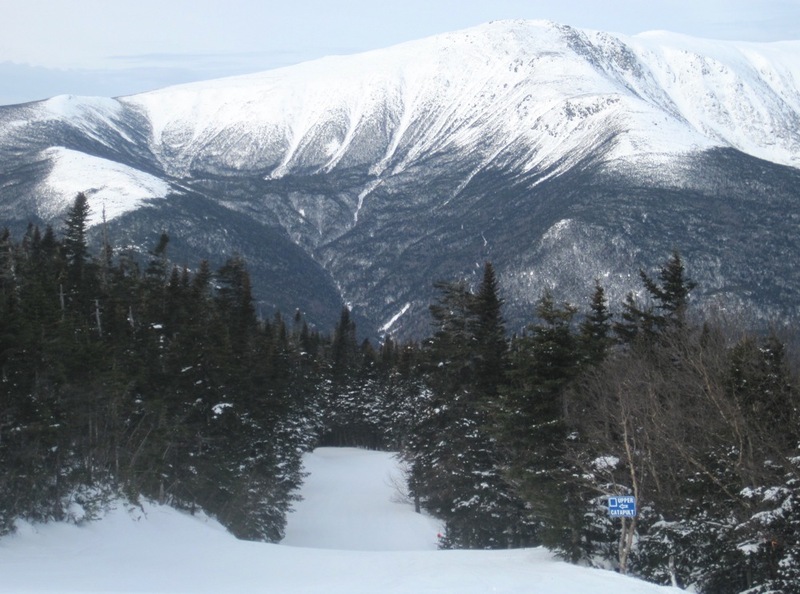 We formed a string of eight skiers spread out over hundreds of feet, making wide sweeping high speed turns on New Hampshire’s longest trail. We took a late lunch and started looking through our pictures. We noticed that while we had great pictures of the mountains around Wildcat, we had no satisfying images of the mountain itself. Matt had suggested a few days ago that we do some skinning and today pushed anyone in the group to join him in a trip up to Hojo’s below the base of Tuckerman Ravine. I imagined all those great images of the ski area taken from above, and agreed to see how far up we could get for a picture. At 2:45 we started up the Tuckerman Ravine trail and came across a good luck charm on the trail. We arrived at the caretakers cabin around 4:15, peeled our skins, added layers for warmth and captured some images in the diminishing light. Then we headed back down the Sherburne Trail. Conditions were excellent over the majority of the trail; packed powder, small soft bumps and long patches of untracked snow down the sides. 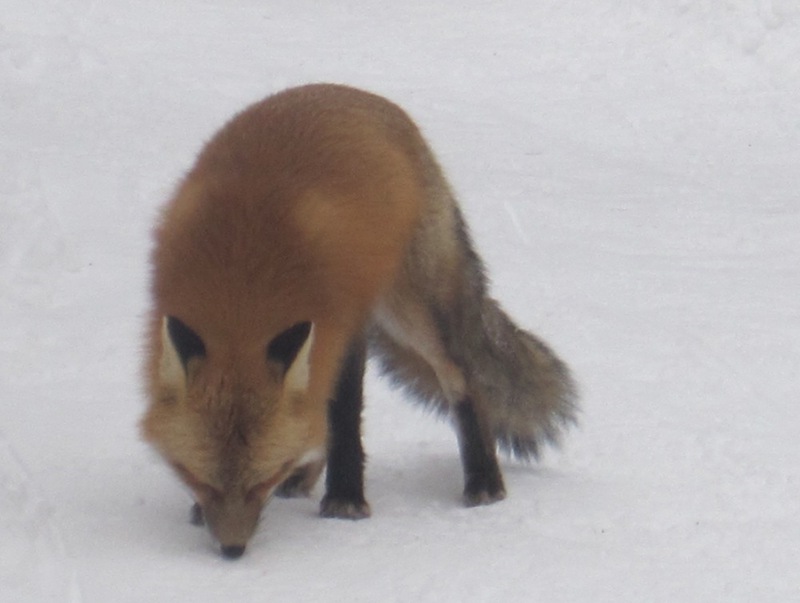 As we descended from the caretakers cabin our subject came into view. We skied and stopped every turn or two, looking for the best angle. Then we bounced our way down to the trailhead. It was a satisfying end to a very full day. Wildcat is in a great spot with a high speed quad that serves the entire mountain, challenging trees, steeps, old-style winding trails, stupendous views and a sense of history. 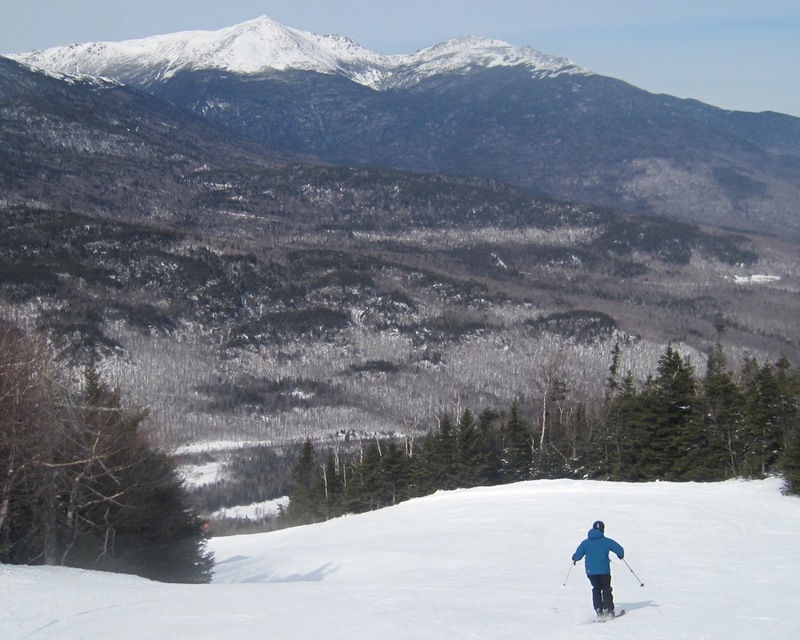 It’s been great to see and ski another side of life in New Hampshire. Foxy TR, Harv. I’ve heard stories about Attitash avalanching being used in snow science classes btw. Tough to not pig out before my hikes.. haha..
Breakfast at PNVC was a treat. I’ve never eaten there before despite all my trips to Pinkham. A little pricey but unlike most buffets, the food tasted like it was cooked to order instead of mass produced, very nice and way too easy to over eat before skiing! I still couldn’t believe Thomas showed up on Katanas. 😮 I thought the Goats at Attitash were outlandish but Katanas in a tight packed powder brook was amazing! Glad you finally got to see Tucks up close. Hopefully you’ll be able to get even closer next time you are up here. I’d love to ski with you when you cross that off your list.